The sousaphone is a type of tuba that is widely employed in marching bands. 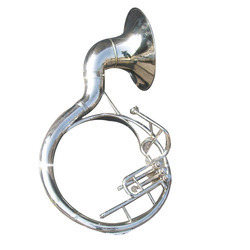 Designed so that it fits around the body of the tubist and is supported by the left shoulder, the sousaphone may be readily played while being carried. 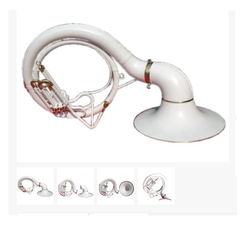 With marvelous specialization in this field, we are manufacturing and trading a qualitative collection of Sousaphone Musical Instrument. - Widely used in national festivals. Our reputed entity is engaged in supplying Sousaphones. We are engaged in offering Sousaphone. We are a top notch supplier of Sousaphone.